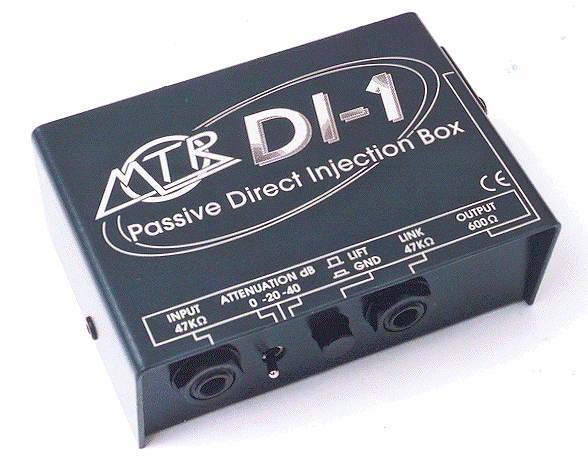 The DI-1 is single channel very high quality passive D.I. box, housed in a similar all-steel box used for our active models. It features a 47Kohm jack input socket, three position attenuation, and a link output jack for connection to an on-stage combo etc. 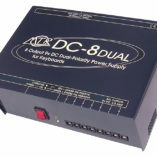 Uniquely, it is fitted with two wide band low distortion transformers, one on each leg, providing a totally isolated, balanced 600 ohm output to an XLR. 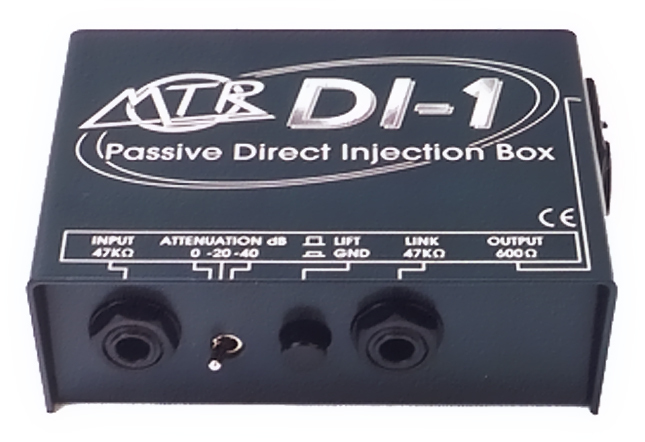 A ground lift switch is fitted, and the unit can also be used in reverse to unbalance a balanced signal – useful when feeding a phantom powered balanced mic into a mono input such as an unbalanced mixer-amplifier, for example. 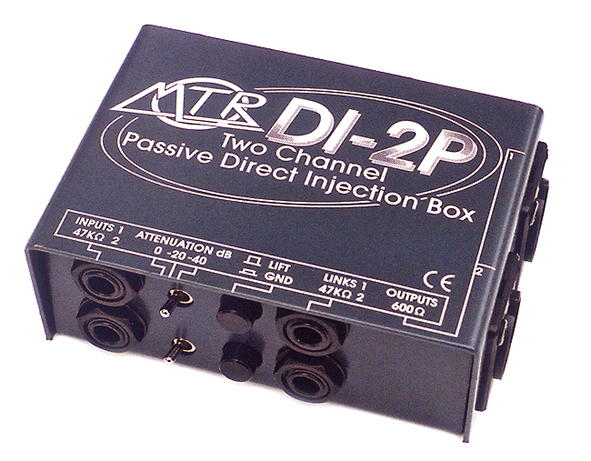 We don’t recommend that you pass phantom power through these passive DI boxes. While we know of occasions where this has been done without problems, there is always the possibility of harming the transformers. The solution is to add a capacitor in line with, e.g. an ipad and a mixer. The value should be from 0.1µf through 1µf to 10µf, depending on the signal source. I’ve owned a Mcgregor SS200 amp for over 12 years and bought it second hand myself, just thought you might like to know it is still running at full power 7 days a week without a single issue, it has out shined Crown’s, Peavey’s, Chameleon’s, etc. 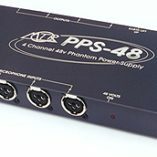 For 2 years of its life while being used by someone else it was also powering top 100w top cabs plus 250w Yamaha bass cabs and lived to tell the tale. I also have a Mcgregor bass amp head that is still one of my favorite sounding heads, beating all many Ashdowns, Ampegs, Crate, Wawrick, etc. Congratulations on great products that refuse to die! I’m really chuffed with this system. 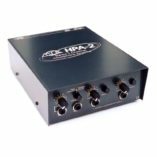 Its high quality sound, high quality rugged build (unlike the Relay) and it is dead easy to use. Is it a must have? No, is it worth £400? Definitely if you have the money. Mines going nowhere !!! ..operation with my Strat has been exemplary. It’s so easy to use too, which I think is something that’s too often overlooked by engineers. I’m really enjoying using it. We played a gig in a theatre on Saturday night and I managed to run off stage, up a spiral staircase onto a balcony for the finale of our set – all without a hitch. Great fun! the Jack is so well designed, so well executed and delivers with such quality and reliability that we believe it justifies its price tag. An essential buy? Hardly. A good one? Undoubtedly. This Dutch-designed system seems to have addressed all our technical concerns with wireless devices. …I rather like the simplicity and effectiveness of the stageClix, and though it might cost a little more than a conventional system, it offers good noise performance without those dreadful compander side effects, which counts for a lot. There’s also no question of it being outlawed when the digital TV switchover and expanding mobile device market eats up the existing radio mic frequencies.